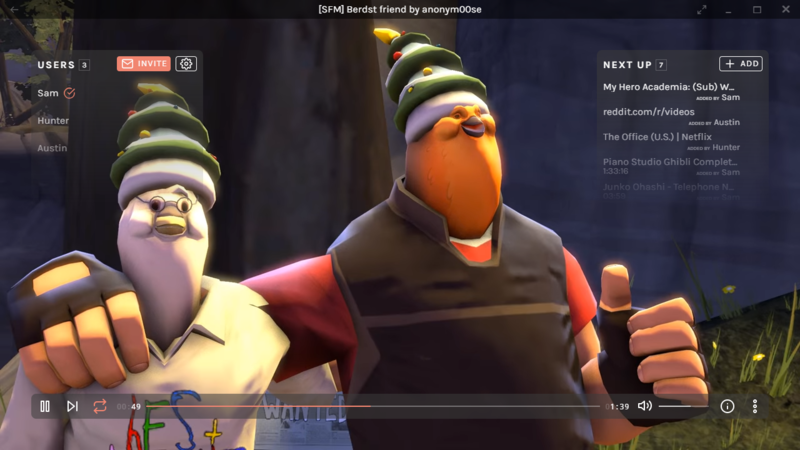 Synchronized playback of streaming media across various websites. Public, private, and offline sessions. Support for P2P (WebRTC) and Direct IP (WebSocket) connections. P2P uses swarm-peer-server with 64-character hex public keys, called "friend codes". Both P2P and Direct IP use client-server architecture. Queue of media requested by peers in session. Discord Rich Presense, avatars, and user session invites. Timestamp cue points parsed from media description. Auto-fullscreen of embedded media players on websites. Per-user playback permissions, managed by the host. Basic host administrative functionality (kicking peers). Partial support for Chrome Extensions. Add Discord Rich Presence integration (#2). Move back to Electron (#1). Have a feature in mind? Make a request by creating a GitHub issue. 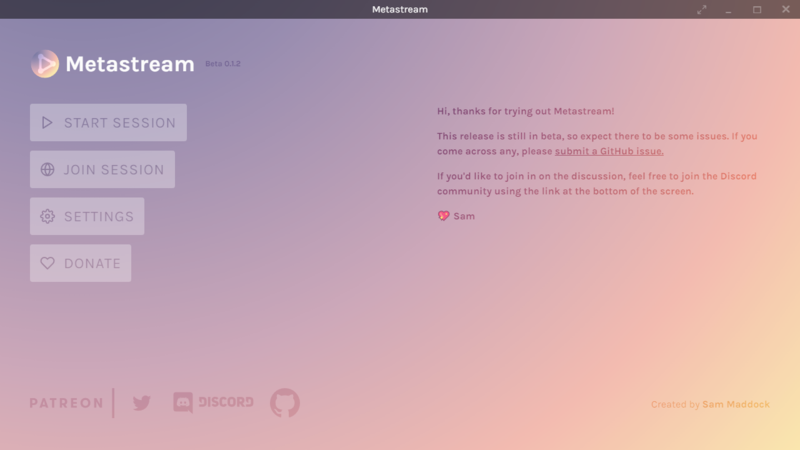 Download the latest version of Metastream from the official website. Builds app binaries for the host architecture.